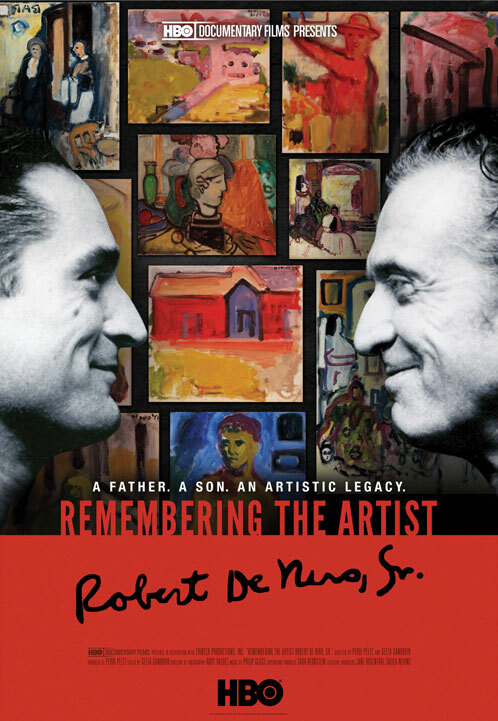 Last week at Sundance the film, “Remembering the Artist Robert De Niro Sr.” premiered. While I do not know Robert Deniro junior or senior, my Dad knew senior, and I’ve spent many moments of my childhood with one of his paintings. Deniro’s painting in our house represented so much to me – it represented the gap between understanding my father and loving my father, it represented the gap between the father I saw standing before me and the father I know was once young and different, it represented a new kind of painting (why did her toes look like flower petals? ), it represented a new way to see the world (capture only the essence of things, not the whole darn thing). 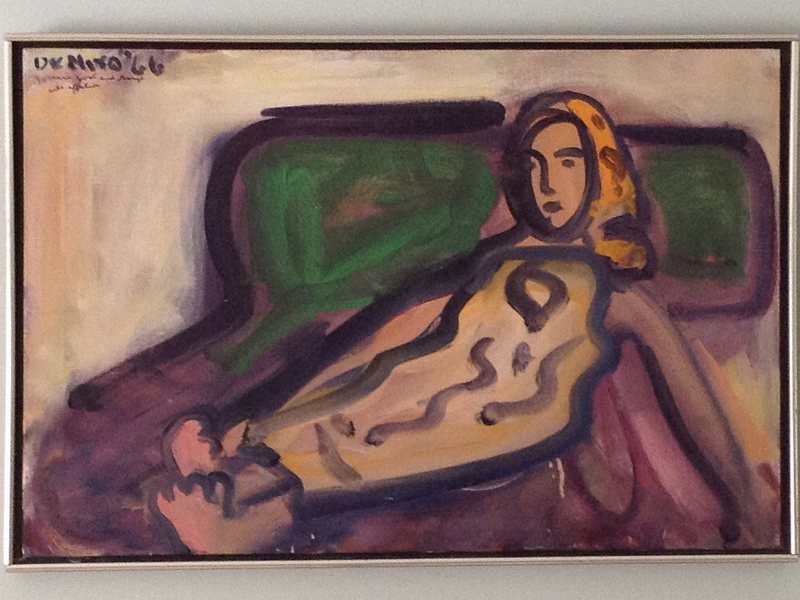 I also knew my mother was not terribly fond of the story behind this painting by Robert de Niro Sr. They always kept the painting in their bedroom, for their eyes only (and nosy me). This painting was a loaded symbol for my father. In the late 60’s after my father returned from the army, he moved into New York’s Hell’s Kitchen neighborhood on 10th Avenue between West 36th and 37th Avenues. Above him was painter/model “Marge”, and below him was Robert DeNiro Sr. While my father struggled to earn his degrees he spent time with Bob. My father was an artist in his own right, and Bob coached him on the business of art, introduced him to artist colleagues, and in return my Dad was helping him quite smoking. My Dad came from a very poor family in Queens, so while he appreciated the lessons in art business he actually only associated the title “artist” with those who were famous or celebrities. He never gave himself permission to call himself an artist, and pursue it fully. When my Dad met my mother and told Bob he had fallen in love, Bob had a funeral for him – the “death of the artist” was marriage to Bob. At this funeral he let my Dad choose any of the paintings in his studio. The painting is of a young woman who my father knew – a regular model of Bob’s. Robert Deniro Sr. painting from author’s childhood home. Deniro Sr. had a successful career as a painter with his contemporaries Pollack, Krasner and de Kooning. He studied under Hans Hoffman, and had one of his first shows at Peggy Guggenheim’s famous “Art of This Century”, where she rotated her private collection and fresh artists’ work between 1942-47. Because he was a figurative painter, and refused to fall in line with the abstract expressionist style at the time his work lost steam on the New York scene. He moved to Paris, then returned to NYC where his son helped him out throughout the lean years. The late Deniro Sr. had shows from time to time in New York City before the time of his death. My father married my mother, continued his schooling, moved to Montreal and had a large family (me and my three brothers). My father dabbled in watercolors over the years, never letting himself get too involved. My father and I share a connection for sure from an art perspective. My brothers have warned me that “I’m like Dad” – which was not a complement at the time. I believe I’ve surpassed being “like my Dad” in that I have fully, blindly and on no uncertain terms jumped into the art bin and refer to myself as an artist full stop. For better or worse, I leap before I look. While I understand the tearing of your attention and priorities when one gets married and has a family – I sometimes wish that he never had a funeral back then for his artist self. Partners and children are only amazing wellsprings and collaborators in my artwork, they’ve never been a true impediment. What would his world look like now if he kept art as his north star AND got married? It’s all possible if you let go of expectations and boundaries. Break everything.